The Pegasus CU Series Deck Mounted Bath Filler Tap is a contemporary 2 hole mixer tap. The square body design will look great in any bathroom and is the perfect bath filler to compliment the single lever basin taps from the Pegasus CU Series. 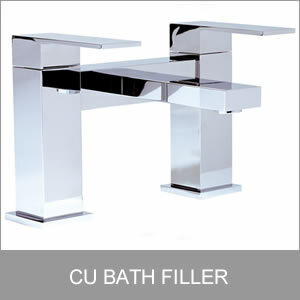 The bath filler is supplied in polished chrome and carries a 10 year guarantee.